We know how precious time is for you! 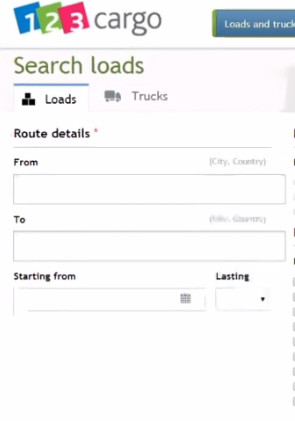 - auto-refresh When you need a new partner with a specific type of truck, you can use 123cargo Fleet search. 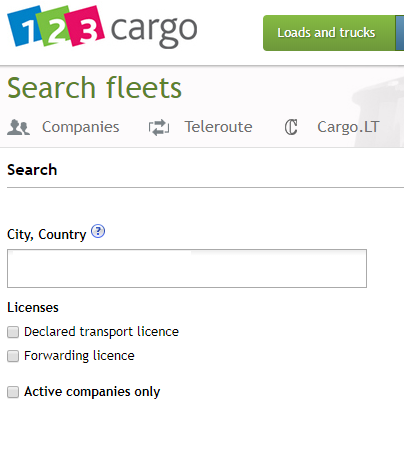 Learn how to update your fleet or your warehouses in your 123cargo profile When you need a new partner, you can use 123cargo Company Directory. 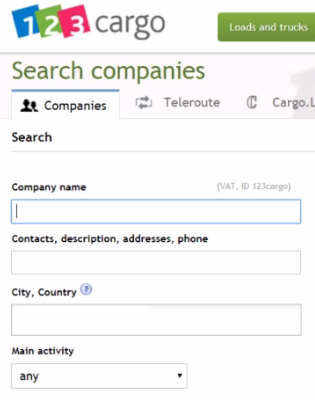 The search can be done on multiple criteria and uses geolocation. The first online card payment on 123cargo has been made! Founded in 2001, counting today more than 16.000 customers and more than 5 million loads posted every year, after becoming the leading freight exchange in Romania, BursaTransport is expanding continuously towards Central and South Eastern European countries. Our goal is to offer forwarders and carriers the best experience of a freight exchange built by people with a solid background in transport industry, to help them develop their road transport business in a safe environment.